Blanca is the European Director of Consultancy of Isle Utilities. Blanca is a water engineer with a PhD in Civil and Environmental Engineering and over twenty years of experience in the development of water and wastewater treatment and renewable energy projects globally. 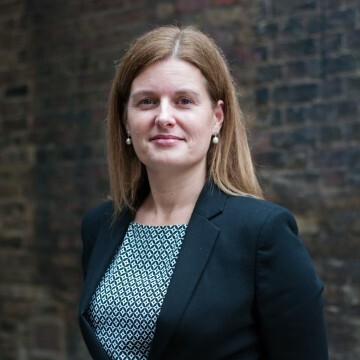 Prior to joining Isle, Blanca was Project Lead Engineer at Emerald Energy Consultancy and held various academic roles for 15 years in research-lead universities including The University of Edinburgh, Imperial College London and University College London, becoming an international expert in environmental bioremediation. Her interests are centred in the development and implementation of new technologies in the context of water security. Her innovative approach has been recognised through various international awards (e.g., Lady Davis Prize, Canada; Rieger JNF Fellowship in Environmental Studies, USA; Ramón y Cajal Fellowship, Spain; Water Engineering Award, UK), featured in international media(e.g., The Economist, International Water Association, Royal Society of Chemistry) and became Fellow of the Royal Society of Edinburgh Young Academy of Scotland, RSE, in 2013. Blanca is editor of the book Water production and wastewater Treatment (2011) Nova Publisher, and author of more than 100 peer review journal and conference papers (h-index 24, over 2,500 citations). Blanca is Member of the International Water Association, is Secretary of the Nano and Water Specialist Group and serves as an Editor to the journals ‘Water Science and Technology’ and ‘Water Supply’. She acts as a Member of the Industrial Advisory Board for the School of Engineering at the University of Glasgow, and she is also a Non-Executive Board Member of the NGO Asociación Ria in Spain focused in sustainable environmental remediation and considering social and ethical impacts of implementing innovative technologies.